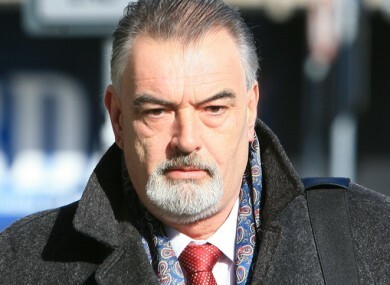 Bailey’s solicitor said gardaí delivered papers to his client on behalf of the French authorities. IAN BAILEY HAS been indicted in France for the murder of Sophie Toscan du Plantier. The French woman was murdered at her holiday home in Schull in West Cork in 1996 and Bailey, who lives in the area, was questioned at the time in connection with her death. An attempt by French authorities to have Bailey extradited for trial there was unsuccessful, as the Irish courts found there was not enough evidence to connect Bailey to the murder. Speaking to TheJournal.ie, Bailey’s solicitor Frank Buttimer confirmed gardaí “hand delivered” papers to his client on behalf of the French authorities on Thursday. “Anything is possible in Ian’s situation, every day he does not know what’s going to happen in his life as a result of this persecution,” Buttimer said. The solicitor questioned why the authorities in Ireland are assisting French authorities in their pursuit of a case that was rejected by our own Director of Public Prosecutions because of a lack of evidence. Speaking to RTÉ’s Drivetime in August last year, Bailey said he “had nothing to do with this”. “I, objectively, believe there is no chance of fairness in France,” he said. Email “Ian Bailey indicted in France for murder of Sophie Toscan du Plantier”. Feedback on “Ian Bailey indicted in France for murder of Sophie Toscan du Plantier”.